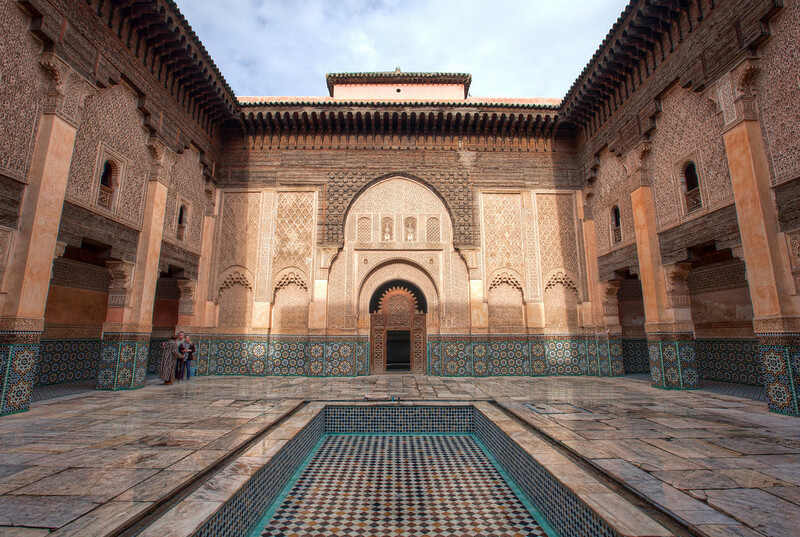 This is the ornate central courtyard of the Ben Youssef Madrasa in the Marrakesh old town. I processed this photo over a year ago but hadn’t posted it because I had no idea what this building with the impressive door was. 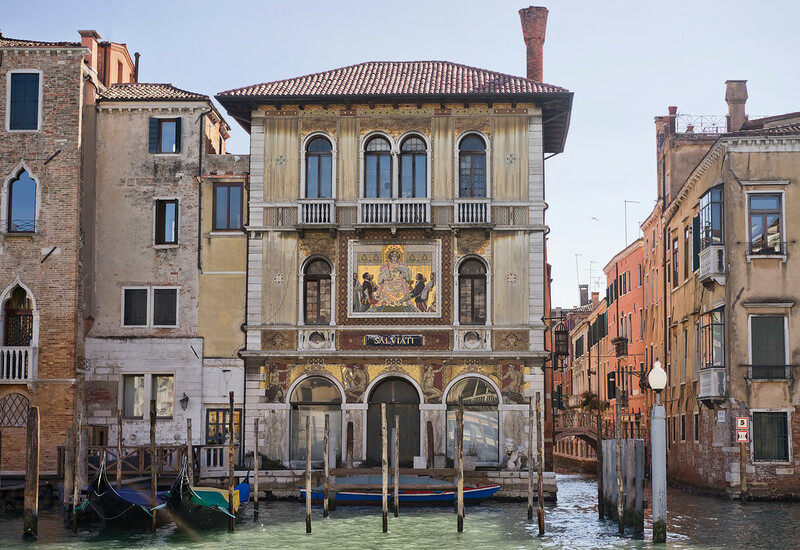 I’ve just spent the last twenty minutes trying to find it on google street view and can confirm that this is the Palacio de San Telmo. 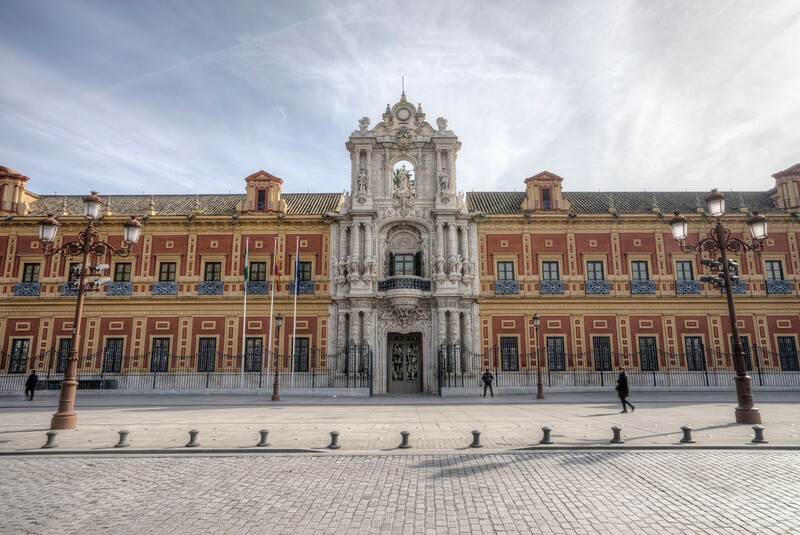 It turns out it’s the seat of Andalusian Autonomous Government and it was originally built as a seminary school for the orphaned children of sailors. 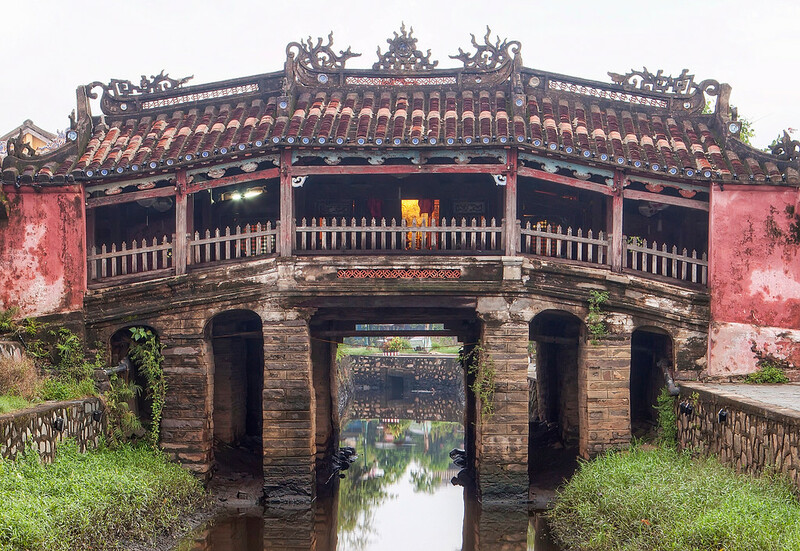 This little bridge is a landmark in Hoi An, Vietnam. The first bridge was constructed here in 1590 by the Japanese community to link them with the Chinese quarters on the other side of the river. 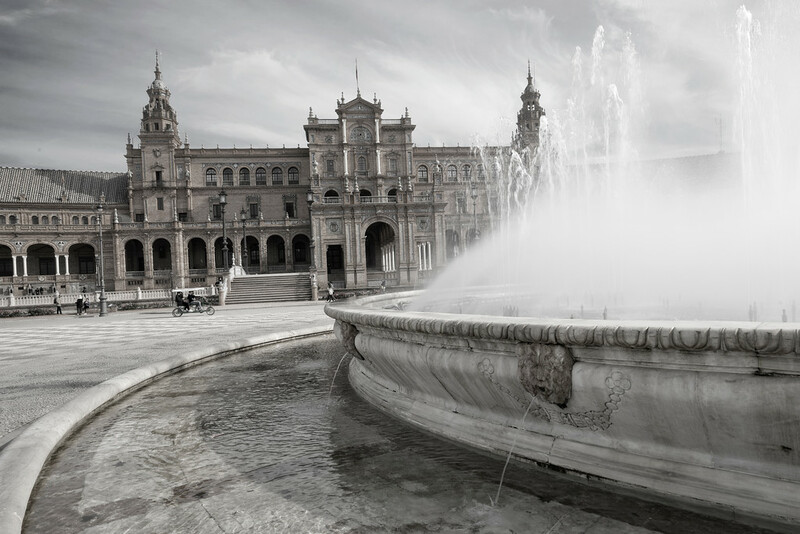 Seville is full of interesting architecture. 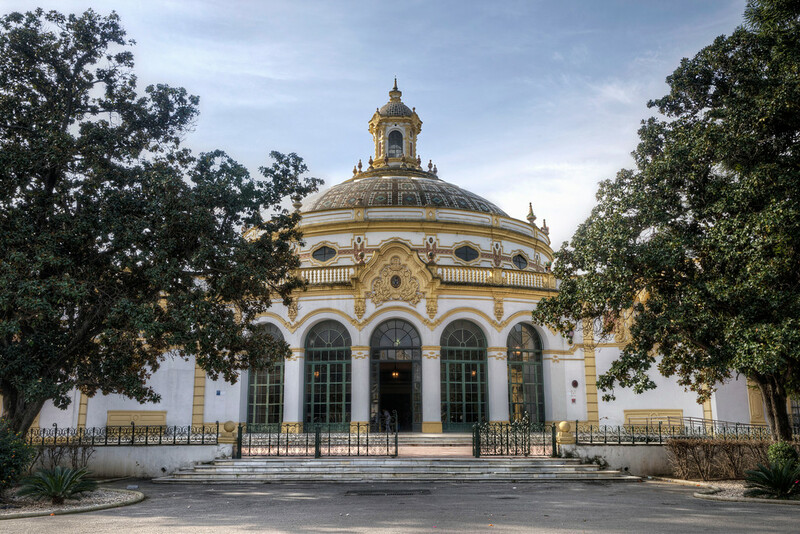 I came across this building on a bus tour and have no idea what is was called! I was hoping when I looked at the file name it would trigger my memory, but the file name is the same as the title of this entry! I figured that after yesterday’s photo of Moorish architecture in Spain it made sense to followup with ornate architecture from Morocco. 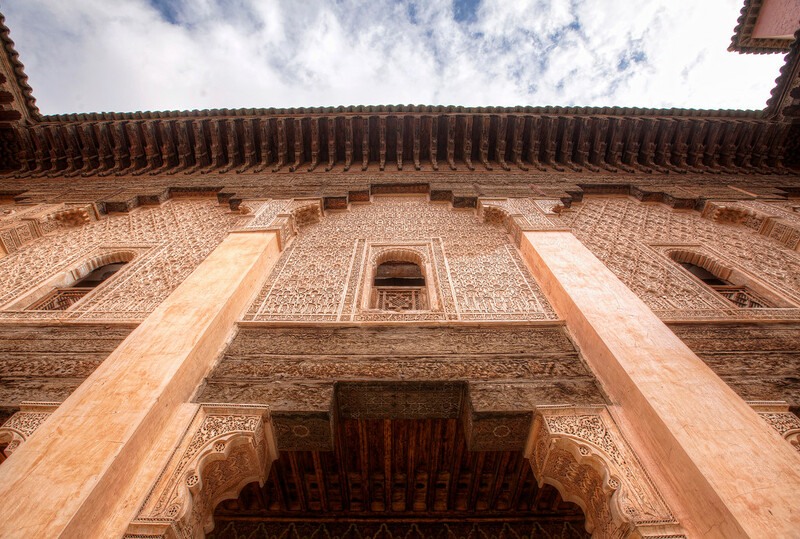 This is a facade of one of the interior courtyards of the Ben Youssef Madrasa which is in an old Islamic school located in the Medina. It was a sleepy Sunday morning in Flores, Guatemala. I’d been woken from a light slumber by the increase in temperature from sweltering to unbearable and made my way for a cool shower before heading out to catch the last light of sunrise. I went out with one photo in mind, this one. After taking that picture and watching the mist over the jungle burn off, I began making my back to my hostel for breakfast. 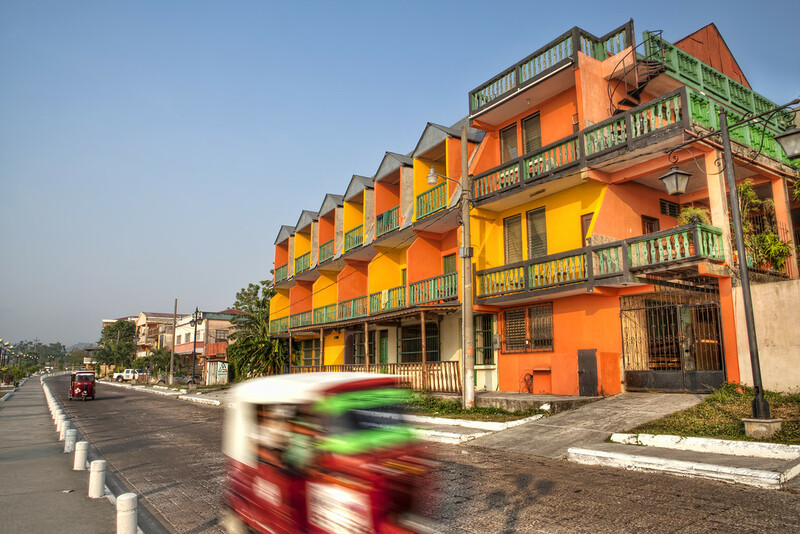 On the way, I came across this brightly painted building and decided I wanted a photograph. As I unpacked my camera, a tuk-tuk drove by and the image I wanted entered my mind. So, I stood there, waiting for tuk-tuks to drive by and attempting to perfect my timing to get one to blur nicely in the foreground. Then, I got extra lucky and caught another tuk-tuk further up the road. My arrival in London went as smoothly as is possible. We landed early, my bag arrived quickly and I stepped onto the Gatwick Express to Victoria as the doors closed. Upon reaching my hotel, my room was already available and I was able to be in bed by 8am. That’s pretty good after an overnight flight where I hadn’t slept. 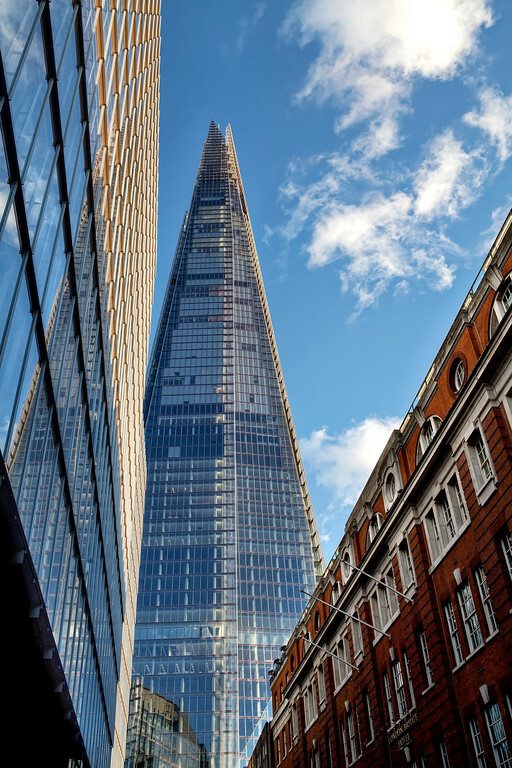 I had plans to meet up with some friends at the Shard and go up to the viewing deck. I wasn’t exactly sure how to get there from London Bridge tube station and my directions were that it’s a huge building, I’d have to try to miss it. As I came up the escalator I had a thought that I’d probably bump into Amy on the way, who could help me find it. I have no idea why I thought that, or why I thought it’d most likely be Amy. I walked out and looked up for the building but all I saw was blue sky. Then, I heard someone say my name. I directed my gaze down and found that Amy was stood three feet in front of me. I’d walked out and promptly looked straight over her head. We set off walking and, when we rounded the corner to see this, we knew we were probably heading in the right direction.